Home / cinemalaya / glaiza de castro / liway / martial law / Cinemalaya top-grossing film LIWAY is showing now in select cinemas nationwide! Cinemalaya top-grossing film LIWAY is showing now in select cinemas nationwide! Cinemalaya 2018's Audience Choice 'Liway' will now have the chance to showcase its cinematic greatness as it opens in almost 50 cinemas nationwide beginning October 10. The Glaiza de Castro starrer tackles the issues of surviving Martial Law and how her character survived with her husband and son while in detention for charges of rebellion. Glaiza de Castro shares the big screen with Dominic Rocco and the brilliant child actor Kenken Nuyad. What's interesting though is this a real-life story of the movie's director Kip Obanda, who is actually portrayed here by Nuyad. 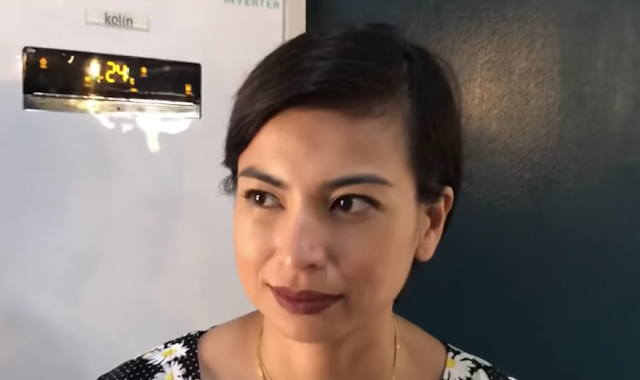 Obanda's mother is the character being portrayed by Glaiza. Aside from winning Audience Choice at the Cinemalaya and being the highest-grossing Cinemalaya film ever, 'Liway" also received a Special Jury Commendation while Glaiza de Castro's rousing performance received positive feedback from both movie critics and the audience. Here's our interview with Glaiza de Castro on her experiences in filming 'Liway', her thoughts on wide release and explaining the political stand of the movie.